Brand: Pride Socks - Wear your freedom. Show your PRIDE! 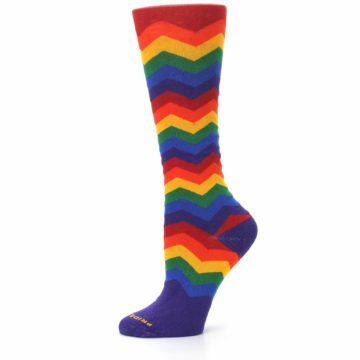 That's what Pride Socks is all about. No one should have to hide who they really are. That's why Pride Socks was started! 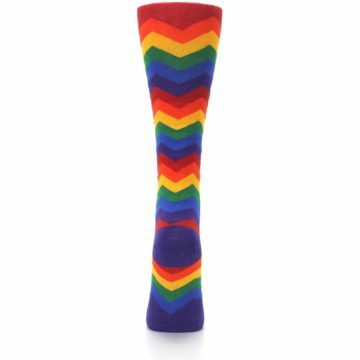 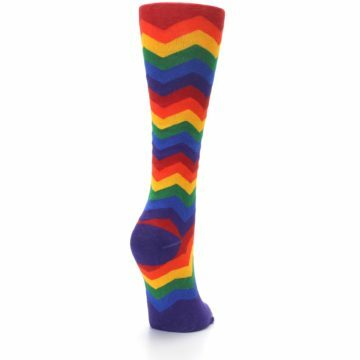 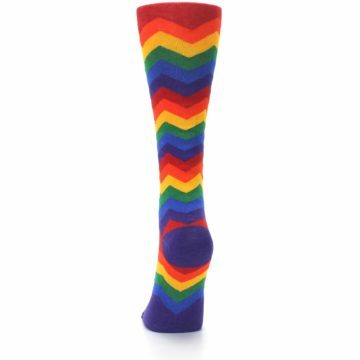 Rainbow socks in a variety of styles made represent the LGBTQ+ community and its supporters. Ring spun cotton takes common cotton and refines and twists it, creating a softer and more durable material with which to make clothing. 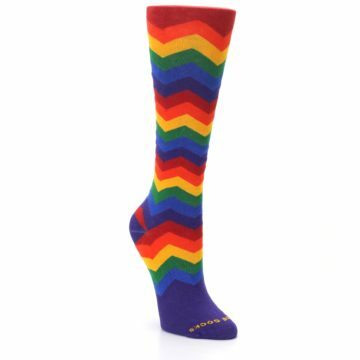 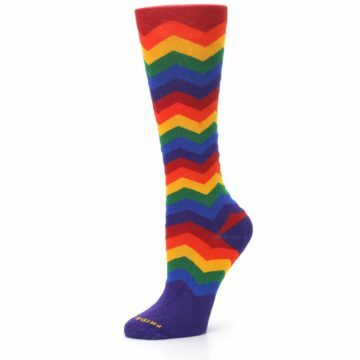 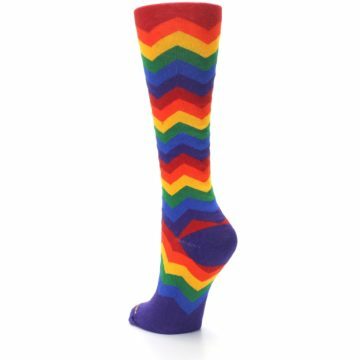 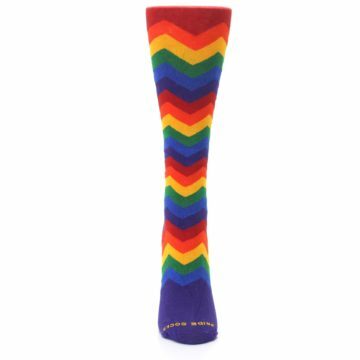 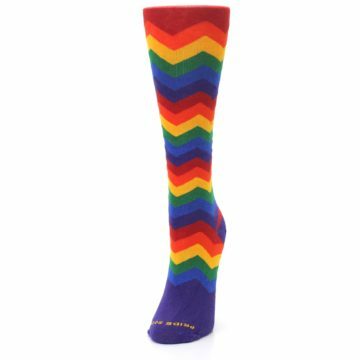 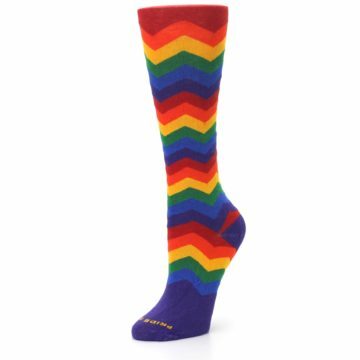 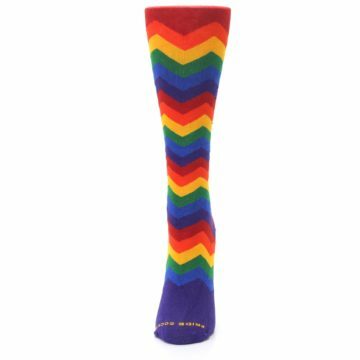 There are not yet any reviews for Multicolor Rainbow Chevrons Women's Crew Socks.